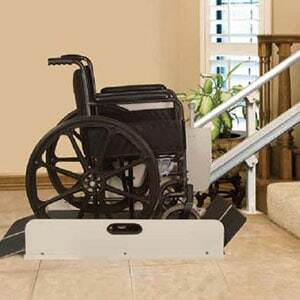 For individuals who struggle with stairs, StairGlide NY has innovative solutions. 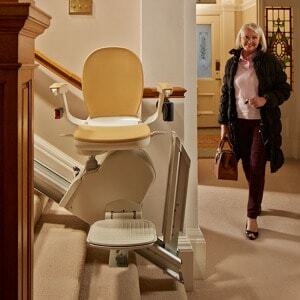 Stair lifts are not just focused on convenience. Our stair lifts are designed with the focus on making life safer and more comfortable for those with mobility issues. 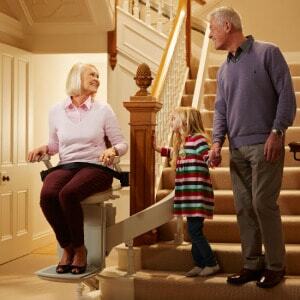 The straight stair lifts that we offer can make your home feel like home again. When you can effortlessly move from level to level without fear or pain, you can relax and enjoy your home. 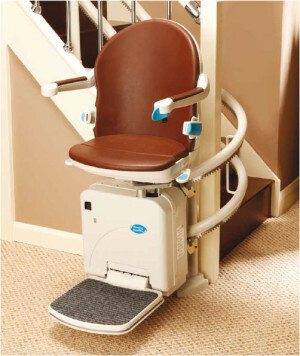 Our amazing straight lifts include the Handicare Xclusive, Acorn/ Brooks 130, and the Harmar Pinnacle. Our curved stair lifts make even the most complicated flight of stairs an easy journey. 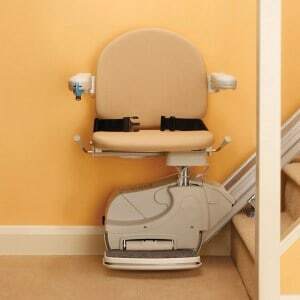 Curved stair lifts are the best way to safely navigate between levels in your home. Our unique modular rail system makes installation fast and easy too. 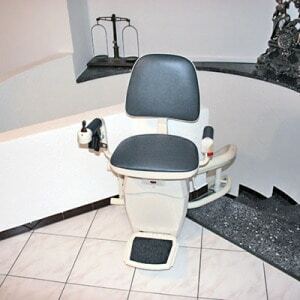 Contact us about great curved stair lift options such as: Handicare Freelift, Handicare Sterling 2000, Hawle and Acorn 80. At StairGlide NY we understand that your home does not mean just inside your home. Being forced to give up the pleasures of the outdoors is a painful choice for individuals with mobility challenges. We can solve this problem too with our innovative line of out door, fully weather proof stair lifts. Outdoor lifts come with tough water proof covers for extra protection as well. 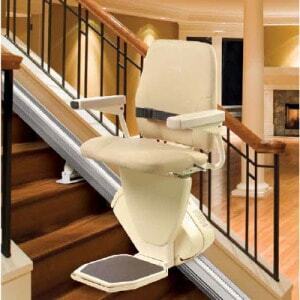 If you think that installing a home chair lift system is too expensive for your budget, we also offer a line of fully refurbished stair lifts that can provide you with a safe convenient alternative at a great price. To prove that your safety and satisfaction is our number one priority, all of our refurbished stair lifts are under full warranty. In an effort to help with all forms of mobility challenges, StairGlide NY also offers a line of wheel chair lifts or vertical platform lifts. 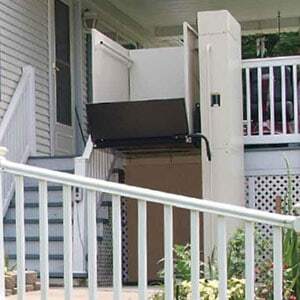 These heavy duty mobility systems are capable of lifting an individual seating in their wheel chair from one level of the home to the next. Wheel chair lifts make home navigation a breeze for those with mobility issues and for those caring for these individuals. If you or someone you care for has dealt with mobility issues, you understand the unique challenges that even simple daily tasks can entail. 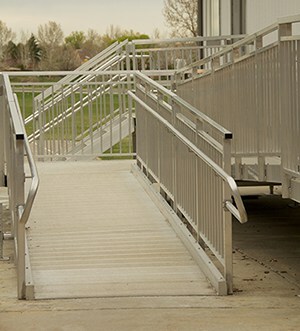 At StairGlide NY, we strive to help simplify these obstacles with creative and safe mobility solutions. Regaining mobility means regains confidence and this makes all areas of an individual’s life more fulfilling. If you are ready to increase your mobility and your confidence, contact us today.